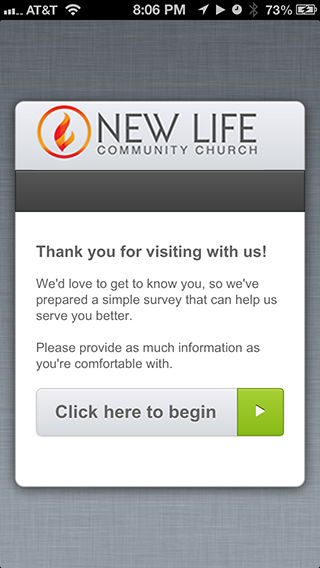 Our Church Guest Check-in Tool is so simple and engaging, your guests will enjoy providing you their information. 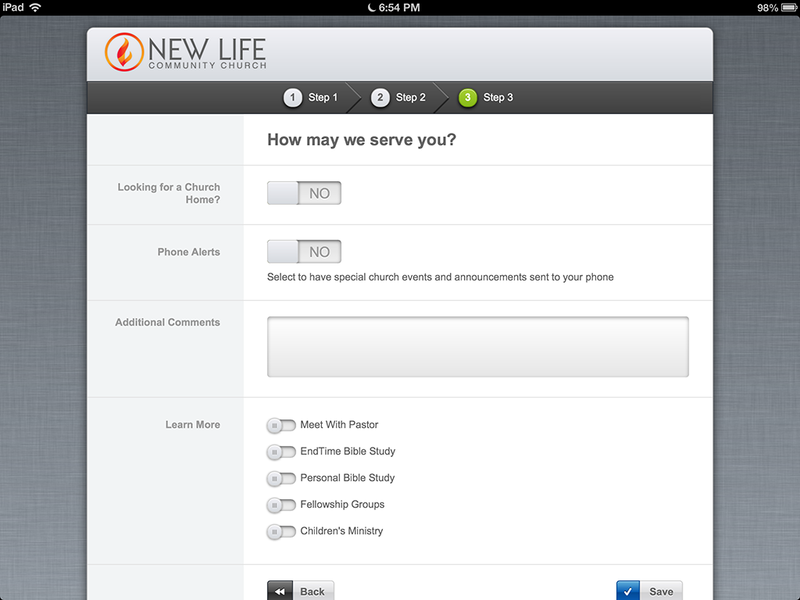 After completing the form, our software immediately delivers your customized welcome email, and also emails the guest details directly to the pastor's smart phone. It's an effortless, efficient method to ensure your guest follow-up system is off to the right start. 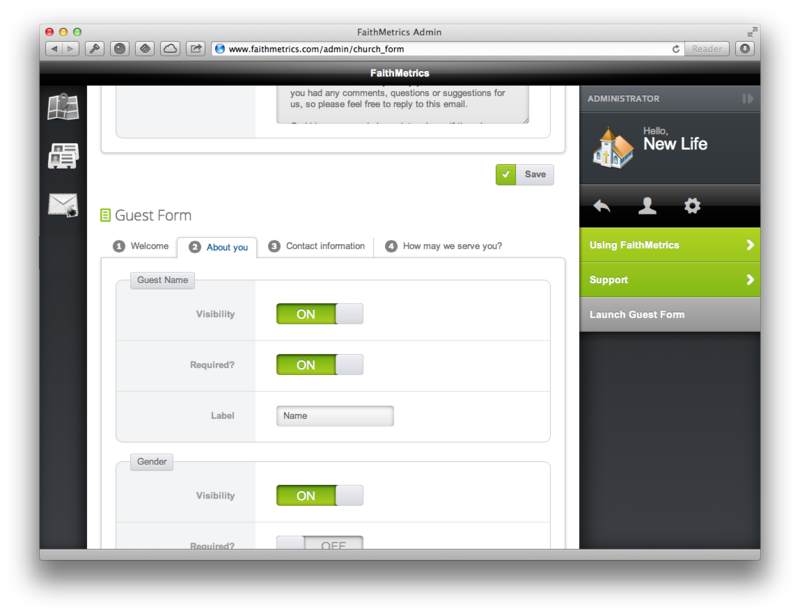 Using the Guest Check-in Form, your guests will enter their information into the system. 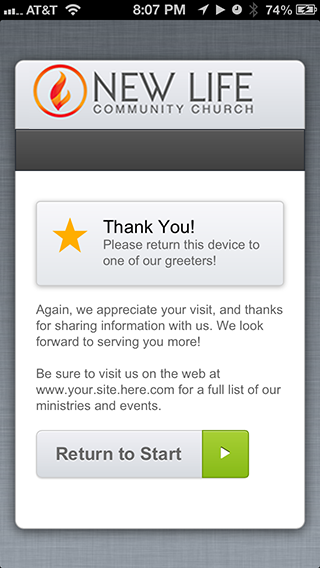 When they're finished, the screen briefly expresses thanks, and asks them to return the device to the Greeter. 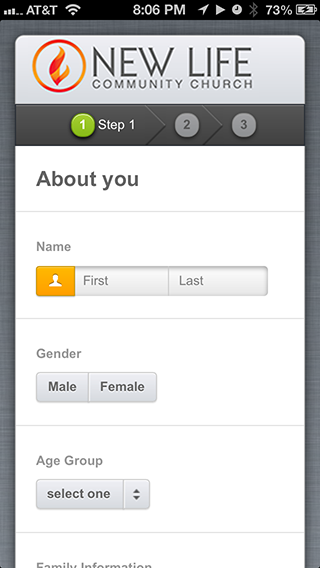 Your form can be presented using an iPad, iPhone/iPod, Android tablet, computer… virtually any Internet connected device. 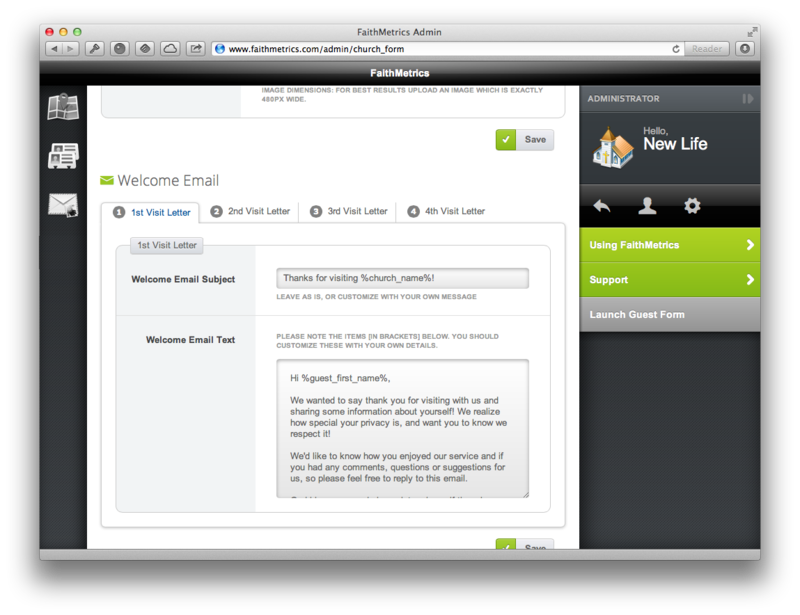 Welcome email sent immediately to the guest's supplied email address. Guest information emailed immediately to the church account. 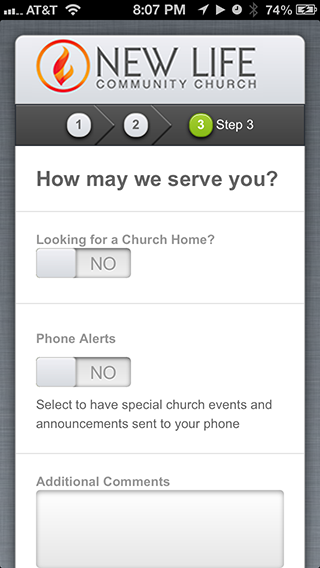 Hint: If pastor has a smart-phone with email service, he'll receive guest data instantly… smart. 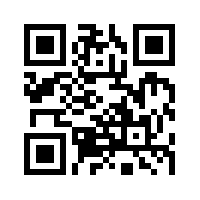 All delivered emails are copied in your database for viewing later. 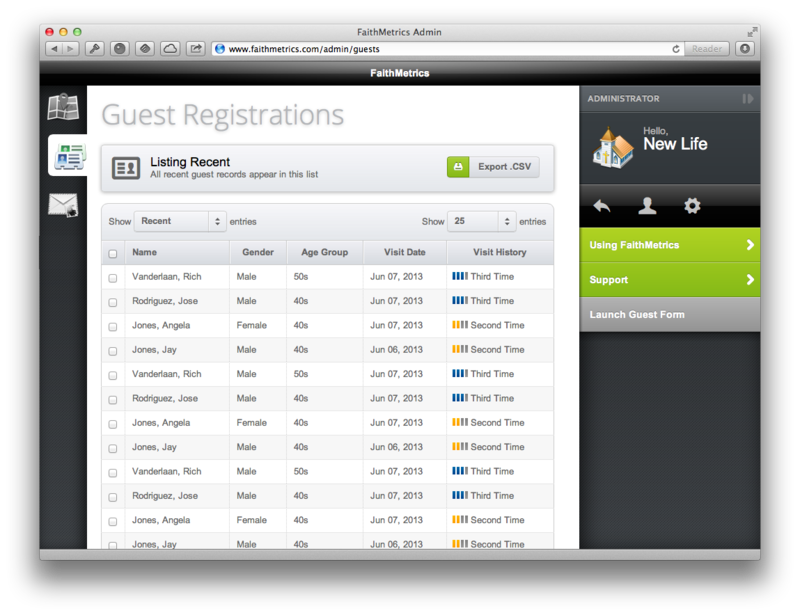 Your staff logs in and retrieves recent guest information from the system. Either copy/paste data, or simply download an Excel spreadsheet for importing into your preferred Contact Management tool. The data can then be archived, allowing you to keep a clean, current list of recent guest entries. Honest prices with no surprises, based on “average weekly church attendance”. Each of our plans include unlimited guest registrations on an unlimited number of devices. Get started today with your 30-day free trial. 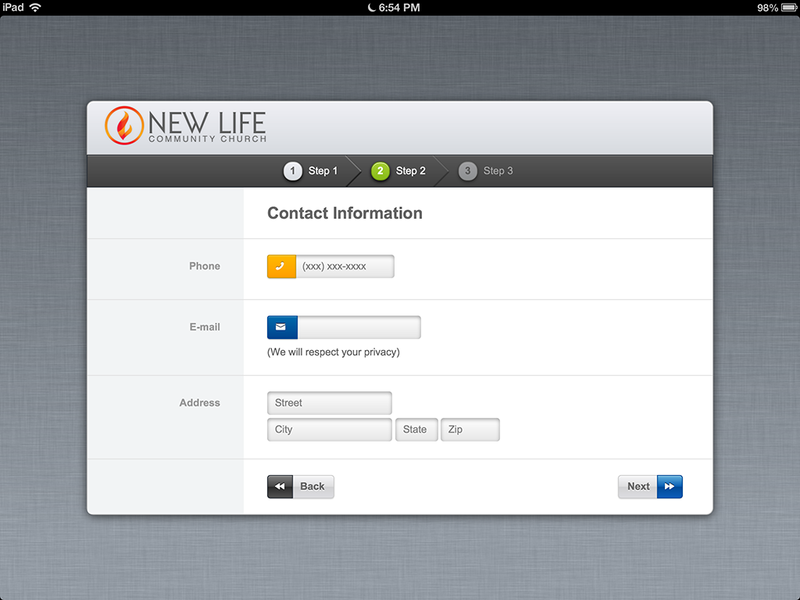 Note: For churches over 1,000 contact us for pricing options. 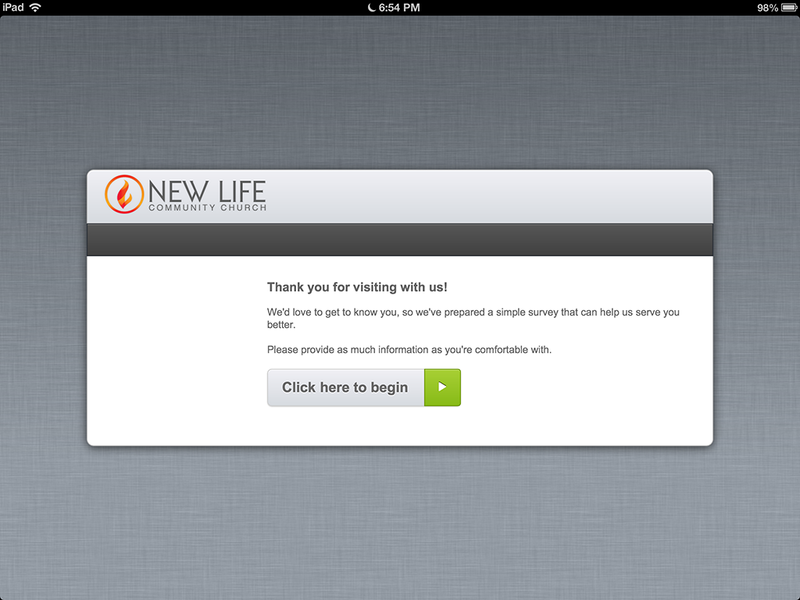 For questions or support, please send us a message at support@faithmetrics.com. From smartphones to tablets, laptops to wide screens, effortless guest registration… anywhere there is an Internet connection! Best yet, there is no app to install! 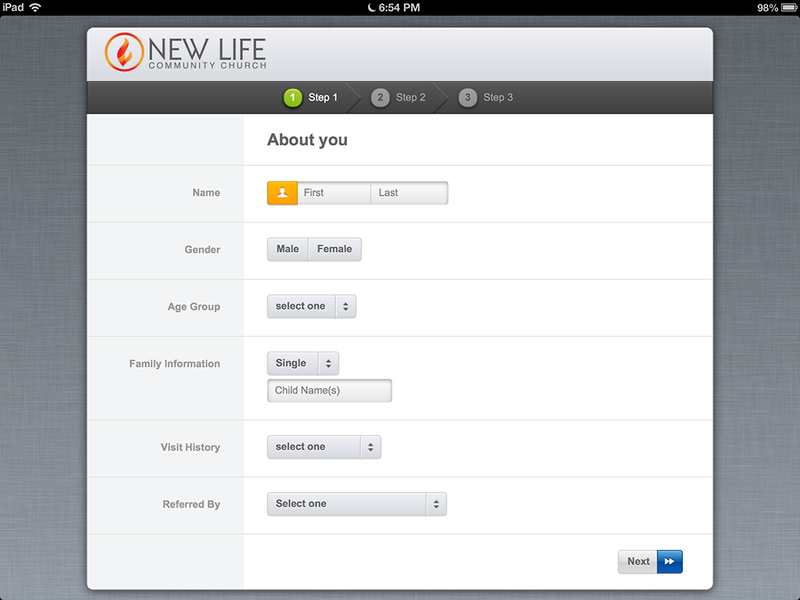 Customized form fields to gather what's important to your ministry. 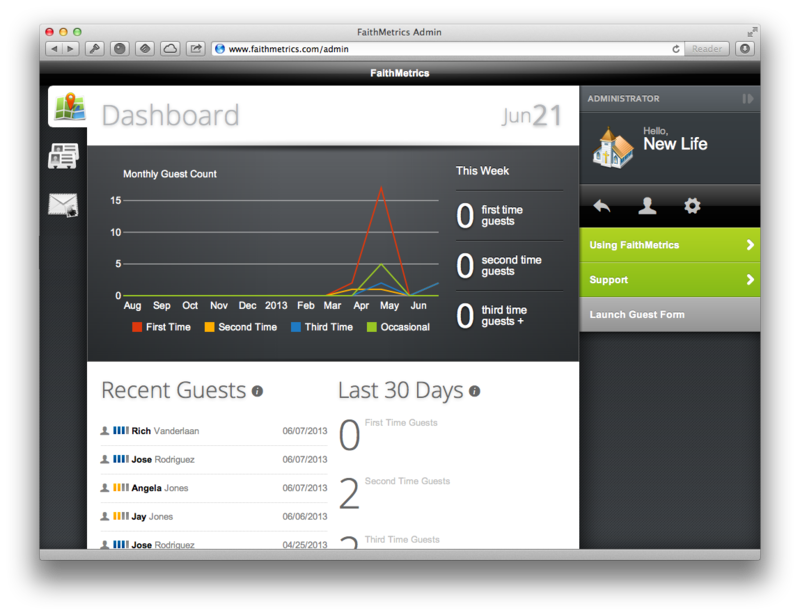 Easy access to your recent guest data and statistics. View, edit and download for import into your church management software. Welcome screen with ministry logo and message. 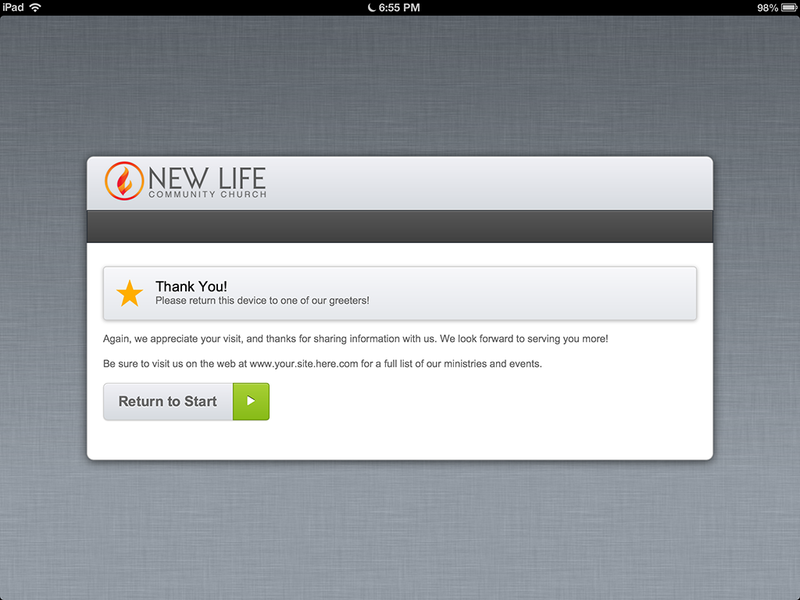 Confirmation screen with your message of thanks. Offer a gift to your guests as an incentive for completing your guest form. Appreciation goes a long way. A casual, pre-service guest reception is a great way to meet your visitors and show your ministry's hospitality. Use FaithMetrics free for a month. It's on us! 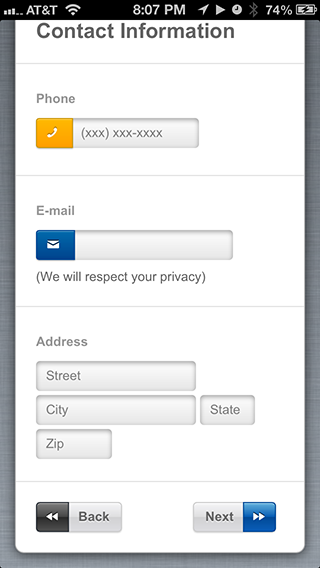 We'll collect subscription information using PayPal, and you'll be on your way! You won't be billed until after your trial period, and you can cancel at any time. No risk.